Heading up a hotel team is no easy feat. However, Estate Manager, James Basson, has done a sterling job since taking the helm in September 2016. Despite his busy schedule, James found a moment to answer a few of our questions so that we could learn a little more about him, as well as unearthing some unknown facts about Mont Rochelle. I was born in Cape Town and went to school at Rondebosch Boys High. After finishing school, I studied Marketing but was inspired by my older brother who worked in the hospitality industry to pursue this as a career path. I got married in 2010 to my beautiful wife Dee who is in the spa industry, and since then we have had two sons, Justin who is 5 and Oliver who is 1. What did you do prior to joining the team here at Mont Rochelle? I have been in this industry for almost 20 years. It all started for me in December 1997 when I took up my first position as a runner in a restaurant in the school holidays. Since March 2008 I worked at a property in the Cederberg mountains in the Western Cape called Bushmans Kloof Wilderness Reserve & Wellness Retreat. I began as Assistant Food and Beverage Manager and worked my way through the ranks and was promoted to General Manager in May 2012. Whilst working here, I met my lovely wife who managed the spa. That it is forever changing, as no day is like any other. We get to meet new people every day from all walks of life, from different countries all over the world with different cultures and we have the responsibility of making sure each and every guests stay is unforgettable. I really enjoy being a very small piece of the puzzle that brings everything together to ensure a memorable stay. What sets Mont Rochelle apart from other hotels in Franschhoek and the wider region? There is no doubt we have one of the best views in Franschhoek and you get to experience these from the hotel, Miko restaurant and our Country Kitchen restaurant. Our staff are our biggest asset and the amount of wonderful comments we receive from guests about how the staff have had an impact on their stay is always wonderful to read. Our restaurants offer two completely different experiences to cater for everyone's taste and we cater for non-resident guests in all areas of our hotel, including breakfast, lunch, dinner, picnics, sundowners and in the spa. Miko Rwayitare was the owner of Mont Rochelle prior to Virgin Limited Edition taking over in 2014. He was the first black African to own a wine estate in South Africa, he was a hugely inspiring and well-known figure in the industry. He passed away in 2007 and in his honour we named our flagship restaurant at the hotel Miko as well as our two flagship wines, the Miko Chardonnay and the Miko Syrah. The guest experience is obviously very important. How do you find your staff and what do you look for in a potential employee? This industry is all about going above and beyond to exceed expectations and provide an experience that is second to none and one that will not be forgotten. It does take a special type of person to be successful in hospitality and the three things I look for in potential employees during the initial discussions is enthusiasm, flexibility and most importantly team work. Guests do not come first. Employees come first. If you take care of your employees, they will take care of your guests. What do you enjoy getting up to on your days off? 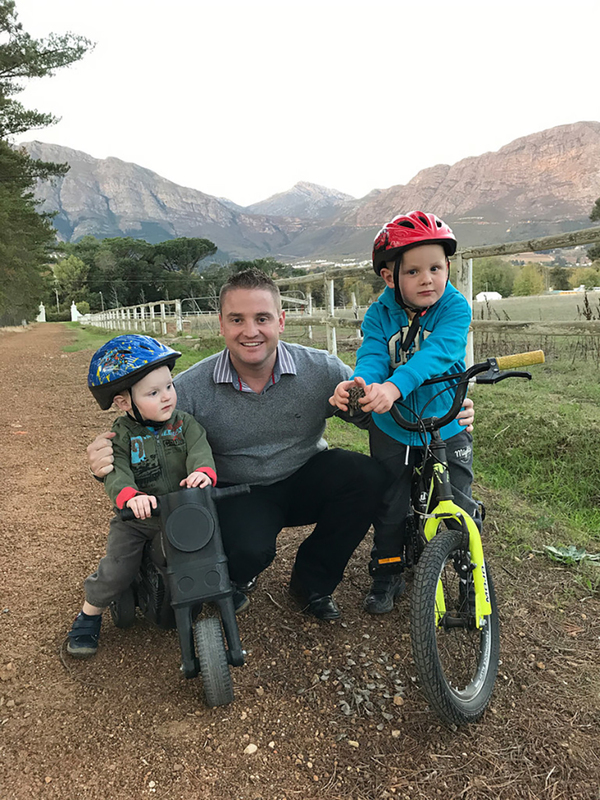 During my off time, I love spending time with my family and whenever I can, we enjoy visiting other hotels, wine estates and restaurants to keep up to date with trends in the industry. I don't do it enough but I enjoy playing a round of golf whenever the opportunity arises. I really enjoy all sports, especially the competitive side of it! Tough decision, but what is your favourite wine and meal at Mont Rochelle? This is really a tough question because I have a favourite at the Country Kitchen and at Miko. At the Country Kitchen it is definitely the Butter Chicken Curry accompanied by the Mont Rochelle Chardonnay 2015 and at Miko the Springbok Loin is delicious with a glass of our flagship red, the Miko Syrah 2009. Mont Rochelle: Cape Town is filling up! 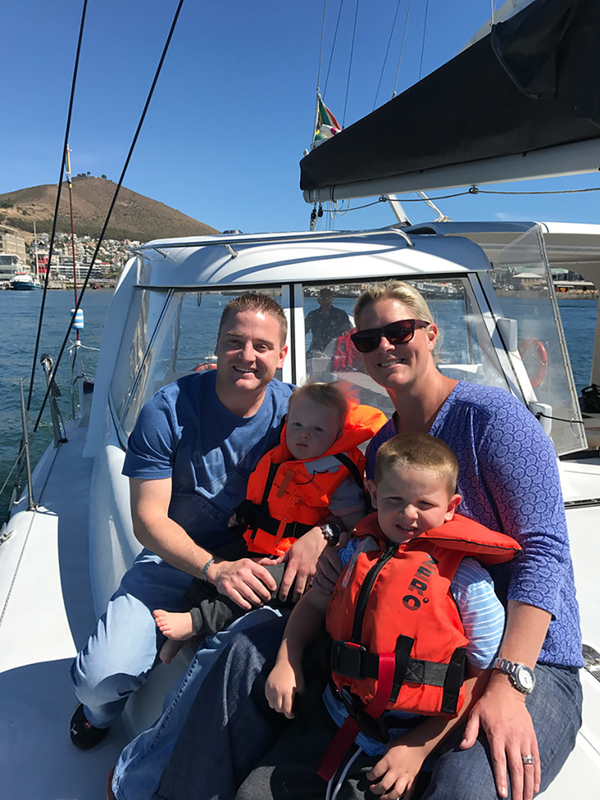 Mont Rochelle: "Cape Town is open for business"